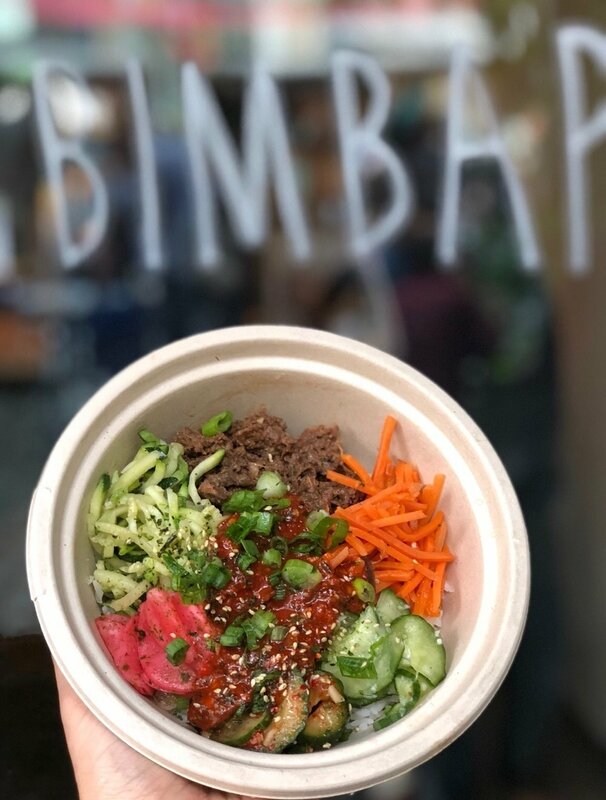 Korean Bibimbap Bowls filled with rice, bulgogi beef, kimchi cucumbers, house gochujang sauce and all sorts of other goodies. Fully customizable! Popping up at Bow Market for 6 months beginning in October. Check our IG for hours. James spent the bulk of his career in finance and management consulting but always dreamed of being an entrepreneur. He wanted to create a working environment that treats people with dignity and respect and inspires them to be there. He had his "why," now he needed something to sell. In 2017, he saw a gap in the Korean food market and decided to make the jump and go all in. It wasn't an easy road, but persistence and the unwavering support of his community have gotten him here, at Bow Market. Perillas is built off of the belief that businesses can be profitable while not being primarily profit-driven. Investing in people, creating excellent products, and providing top-notch service to customers should hold greater value. We believe our leaders should show humility, genuine concern, and empower others. We believe in stewarding our talents to provide the best meal and experience for our customers. We believe transparency, and taking responsibility for mistakes is a better model for customer service. Lastly, we believe in serving delicious, Korean Bibimbap! To learn more about Perillas or to get in touch with their team, visit their website here.